One woman, one instrument … her touch and musicality is quite extraordinary, breaking accordion-esque preconceptions and boundaries. She has a box full of musical treasures to share. Adult £14/£12 Adv. Concessions £12/£10 Adv. Find out more about Folk at the New Room and sign up to our mailing list, click here. 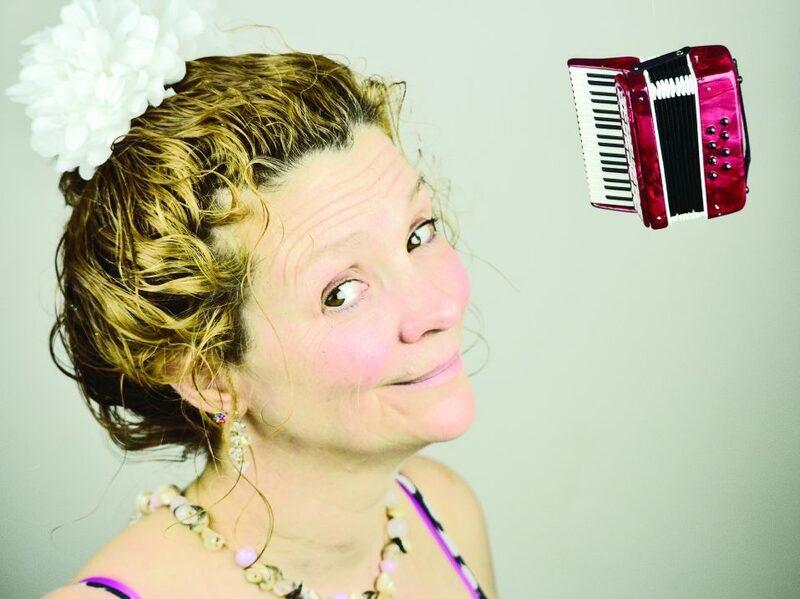 One of the leading lights on the UK and international folk scenes, Karen Tweed is the mercurial, wacky and elegant English accordion queen, known for ground-breaking collaborations (Kathryn Tickell, The Poozies, Swåp, Two Duos Quartet, May Monday) and inspirational teaching. Her stunning solo album Essentially Invisible to the Eye is a beautiful suite, taking us on an autobiographical musical journey, illustrating how much the accordion has become Karen’s voice and pen and muse.